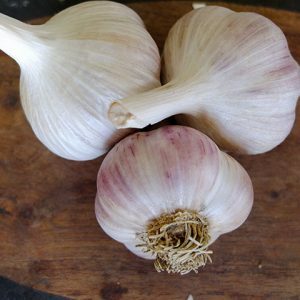 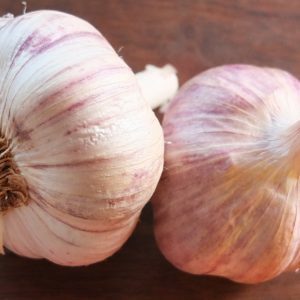 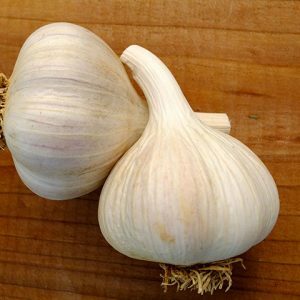 (Medium) – A large garlic with 8-10 easy to peel cloves. 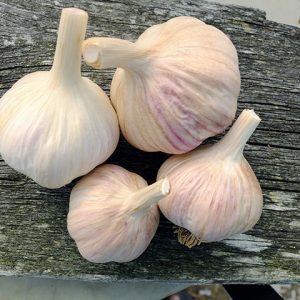 Very good flavour. 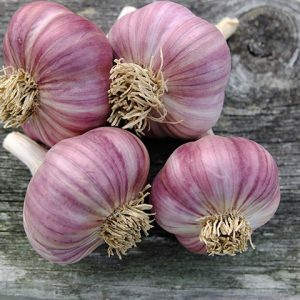 It is winter hardy and likes a cool Spring, but does not do well in wet soils. 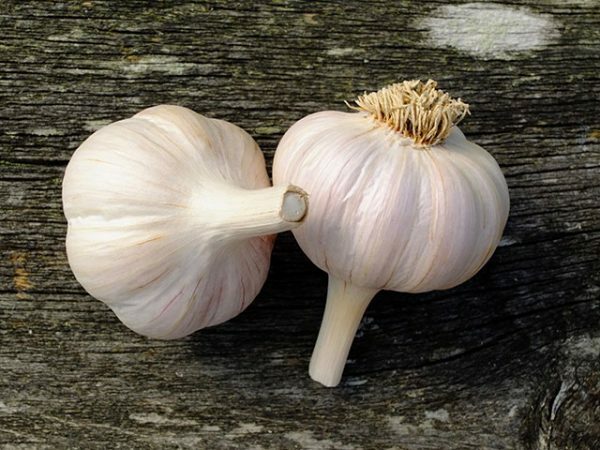 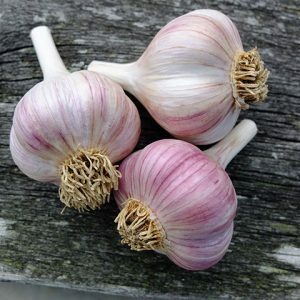 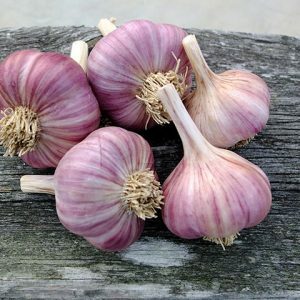 French Rocambole does not usually keep as long as other garlics (4 to 6 months) though if well cured and kept in optimum conditions, it will keep until March-April. 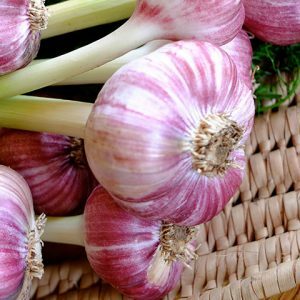 (Medium) – French Rocambole has a distinctive buttery flavour, is sweet and of medium heat. 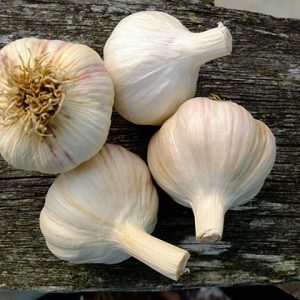 The skins peel very easily, making it a pleasure to work with in the kitchen!